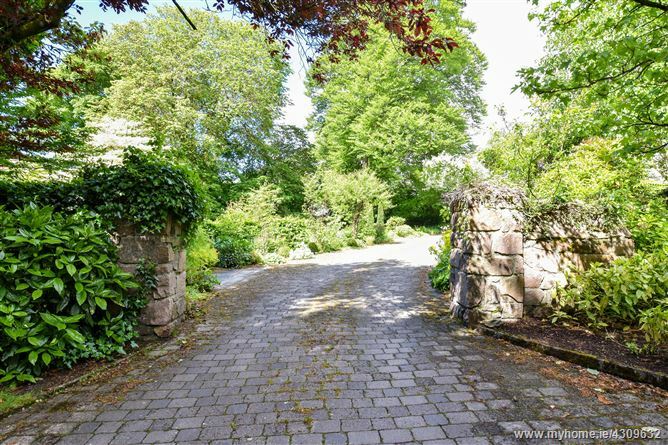 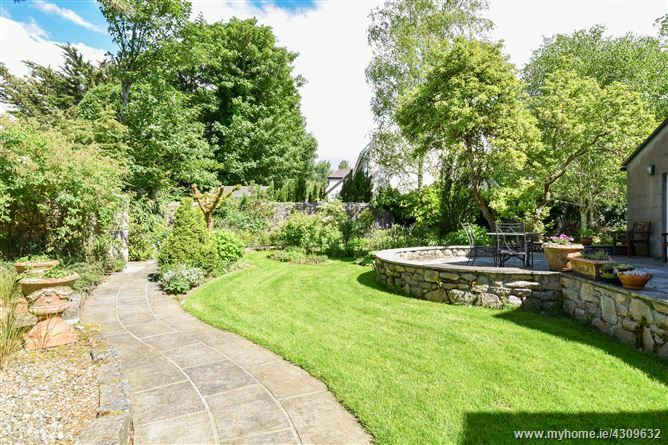 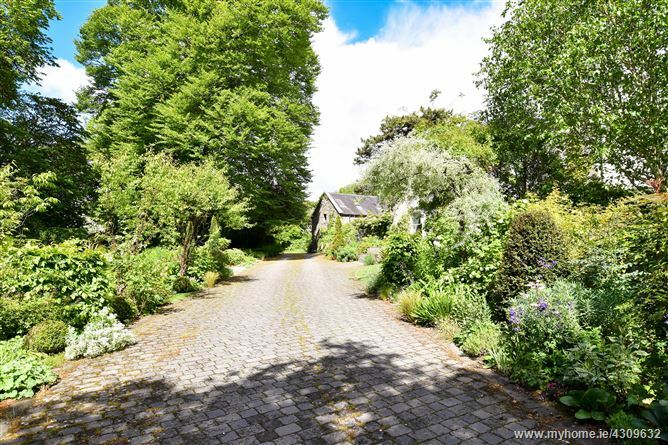 We have been honoured to bring to market this exceptional historic Victorian residence set in its own private, mature grounds of just over half an acre on Taylor’s Hill in Galway City situated in the area of Averard, a secluded woodland retreat in the heart of the city. 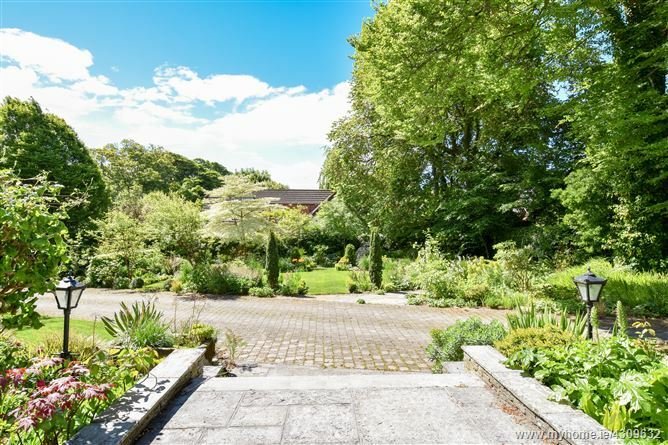 Erected circa 1860 the property provides elegance, privacy and tranquillity with all the attractions and amenities of Galway and Salthill on its doorstep. 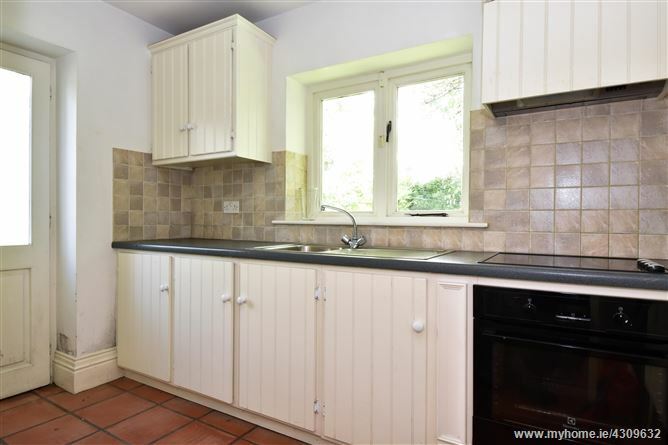 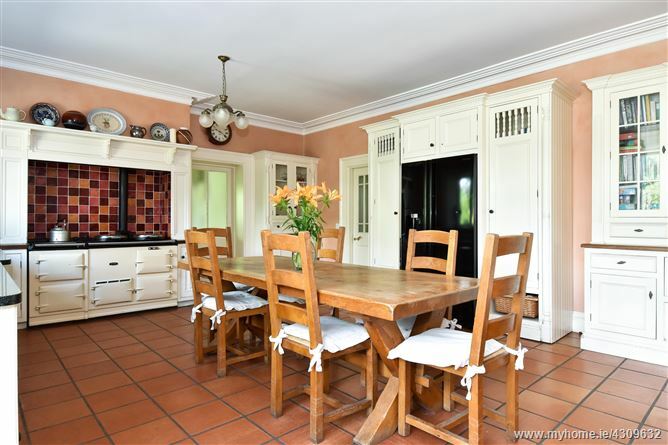 It is within easy walking distance of numerous excellent primary and secondary schools. 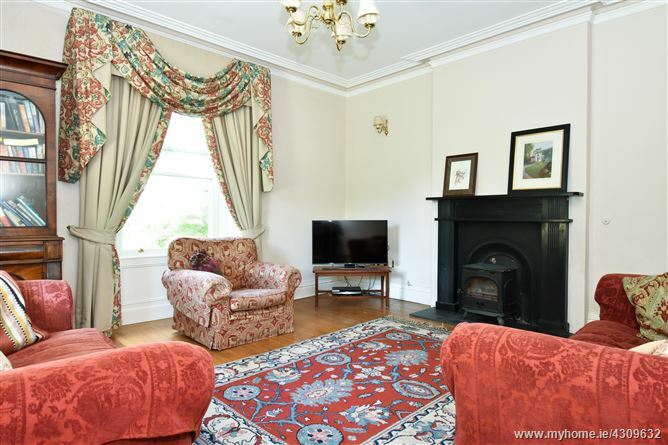 “St Michael’s” has been lovingly and carefully restored over the past 25 years retaining all its period features including original sash windows and shutters, high ceilings, wooden floors, cornicing, panelling and original fireplaces. 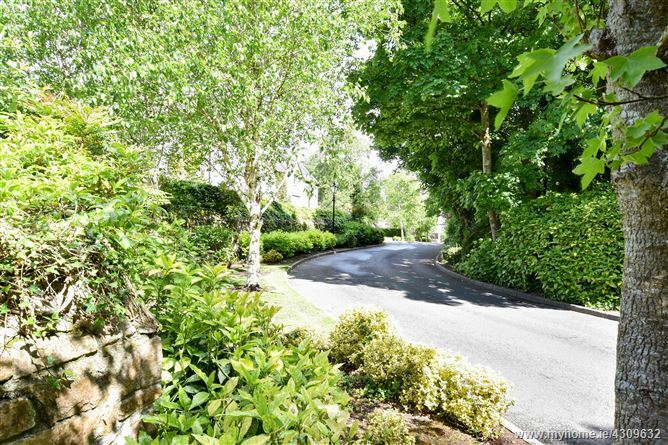 At the same time all the luxuries and requirements of a modern family home have been added including oil fired central heating, en-suite bathrooms and many other comforts. 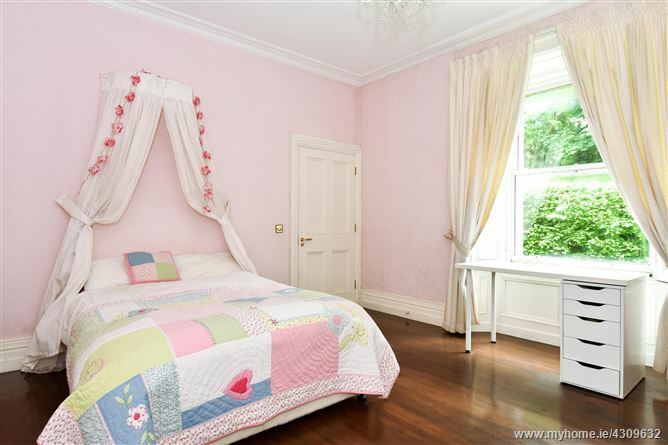 The accommodation extends to approximately 3,700 square feet. 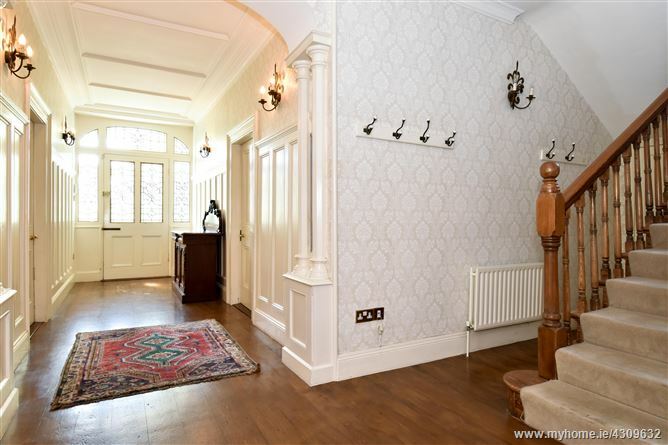 The hallway is a very impressive welcoming space with original panelled walls and cornicing and a lovely stained glass front door. 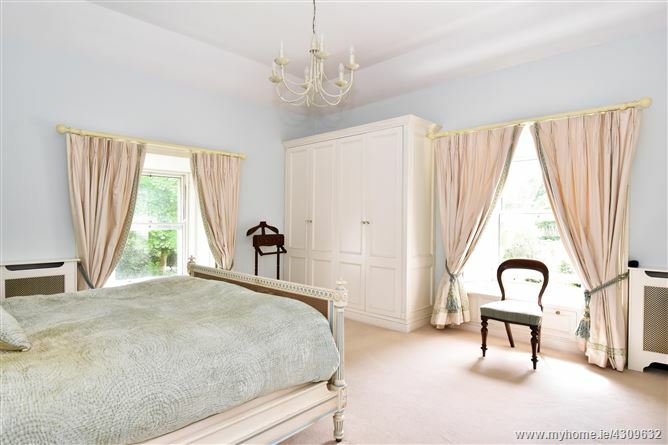 To the left and right of the hallway are the two main reception rooms each with elegant windows facing into the gardens. 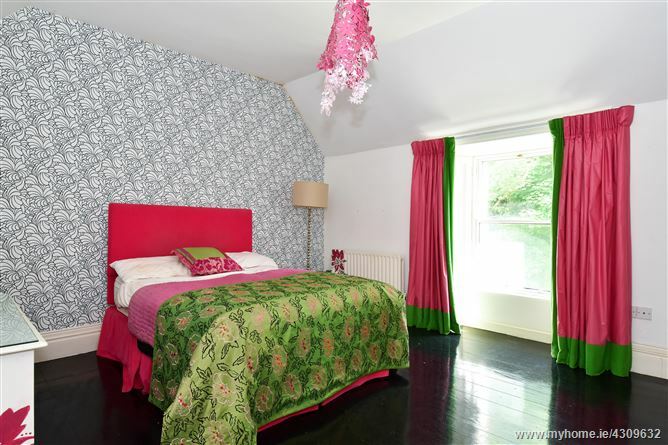 Both rooms are beautifully decorated, ideal for family relaxation and formal entertaining. 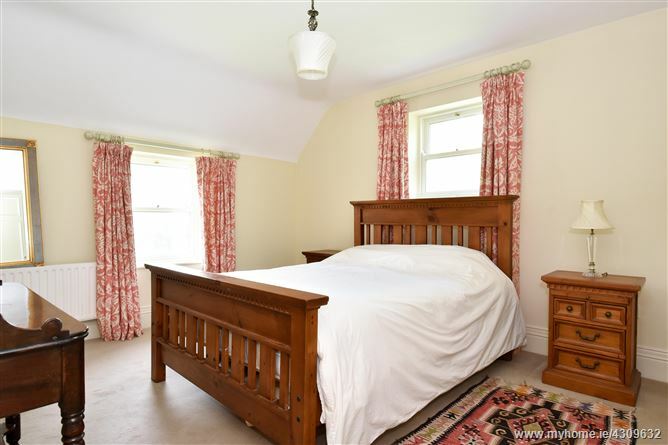 There is a third reception room on the ground floor which is currently used as a bedroom with an adjoining bathroom which has separate access into the garden. 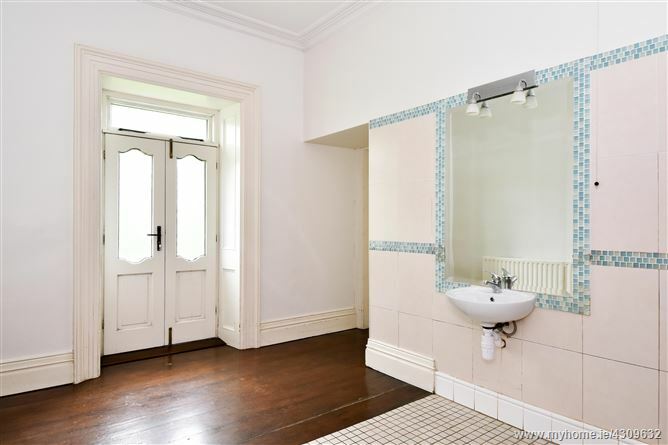 These rooms would make an ideal self- contained flat if required. 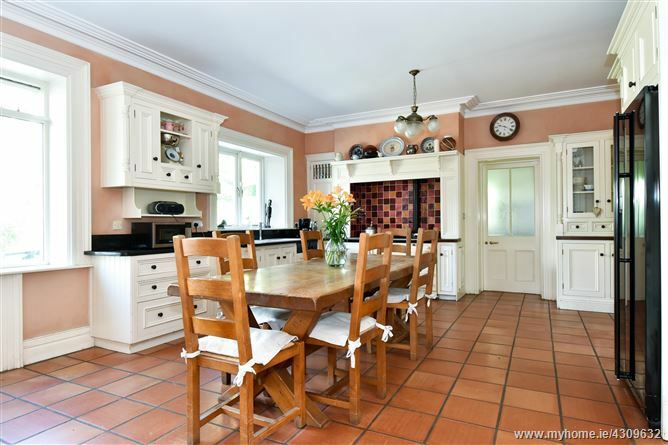 The generous kitchen is the heart of this warm family home with a double AGA, hand crafted cupboards and a granite worktop. 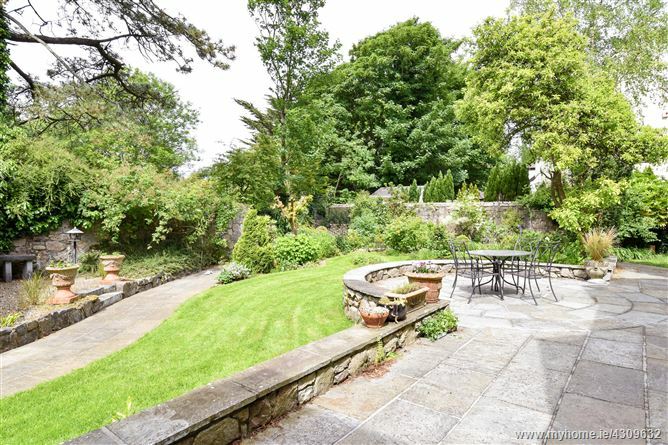 Double doors lead out onto a generous west facing stone terrace ideal for dining al fresco on warm summer evenings. 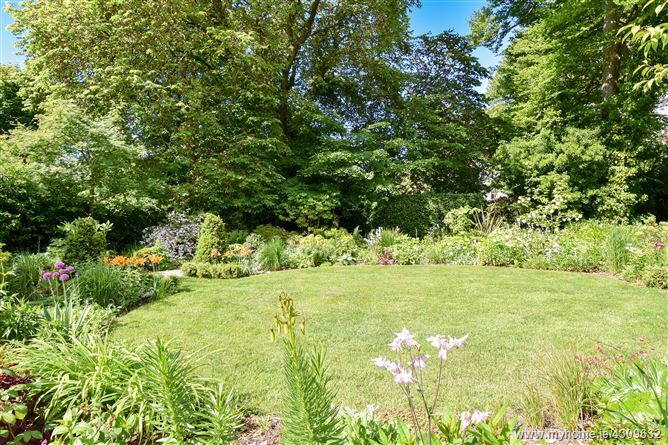 Just step into the garden for your own fresh herbs, vegetables and fruit, and a posy for the table. 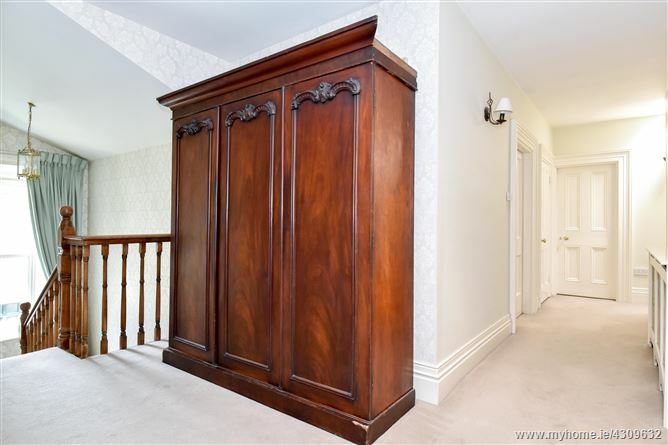 An adjoining back stairs leads to bedrooms upstairs. 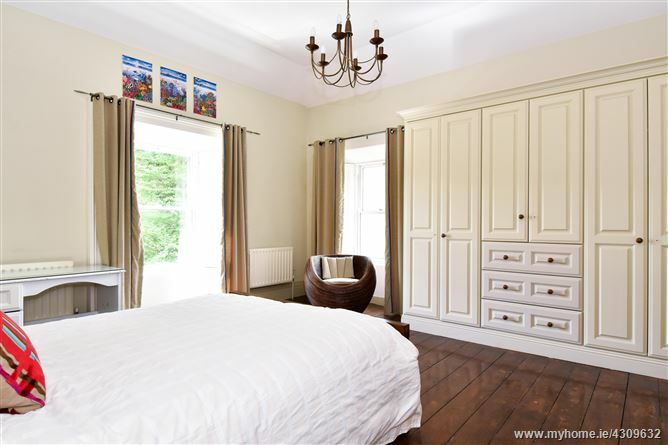 Upstairs there are 5 beautiful bedrooms two of which have en-suite bathrooms. 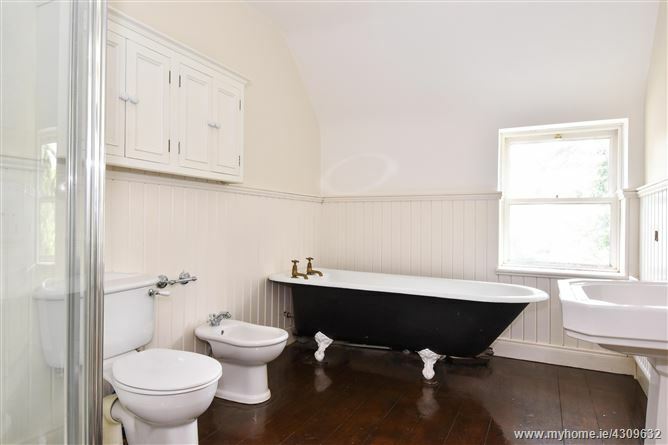 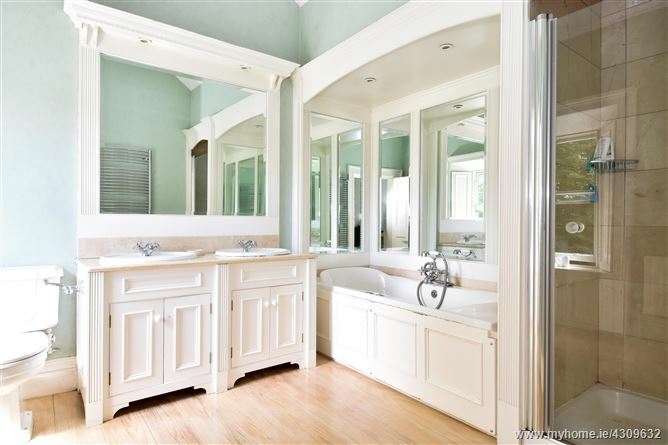 There is a separate family bathroom with a freestanding cast iron bath. 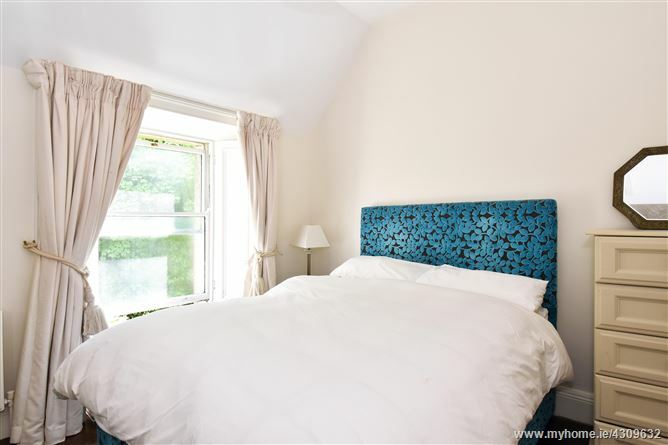 The views from the bedrooms over Galway City and Galway Bay are breathtaking. 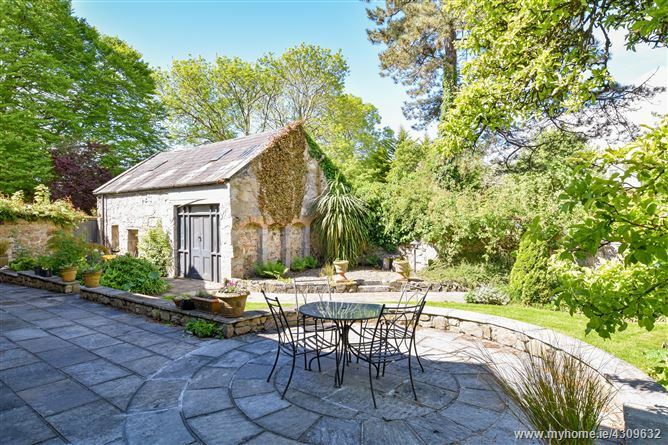 The stone coach-house adjoining the main house could easily be converted into a wonderful mews. 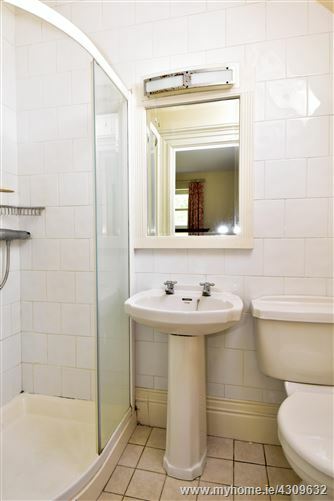 Viewing is strictly by appointment. 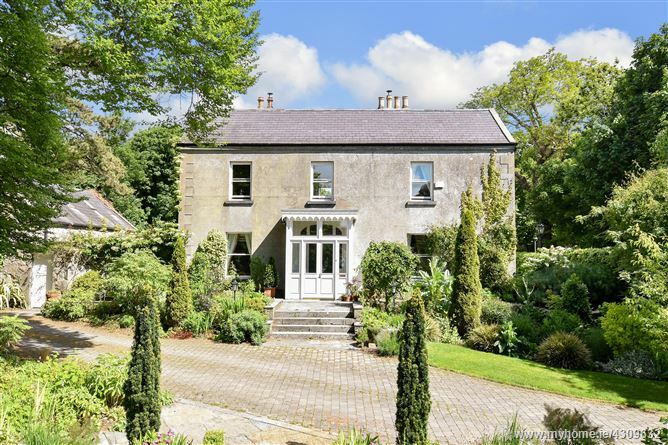 Please contact our office to arrange a viewing on 091-564212.